The Trinity is supposed to be the central, foundational doctrine of our entire Christian belief system, yet we're often told that we shouldn't attempt to understand it because it is a 'mystery'. Should we presume to try to breach this mystery? If we could, how would it transform our relationship with God and renew our lives?The word Trinity is not found in the New Testament-it wasn't until the third century that early Christian father Tertullian coined it-but the idea of Father, Son, and Holy Spirit was present in Jesus' life and teachings and from the very beginning of the Christian experience.In the pages of this book, internationally recognized teacher Richard Rohr circles around this most paradoxical idea as he explores the nature of God-circling around being an apt metaphor for this mystery we're trying to apprehend. 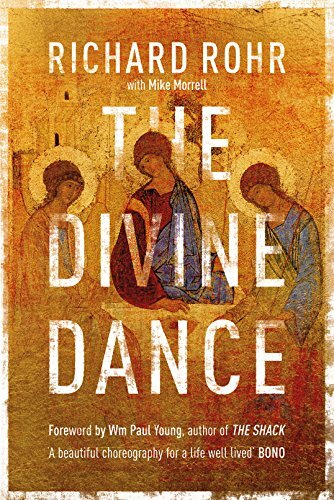 Early Christians who came to be known as the 'Desert Mothers and Fathers' applied the Greek verb perichoresis to the mystery of the Trinity., The best translation of this odd-sounding word is dancing. Our word choreography comes from the same root.Although these early Christians gave us some highly conceptualized thinking on the life of the Trinity, the best they could say, again and again, was, Whatever is going on in God is a flow-it's like a dance. 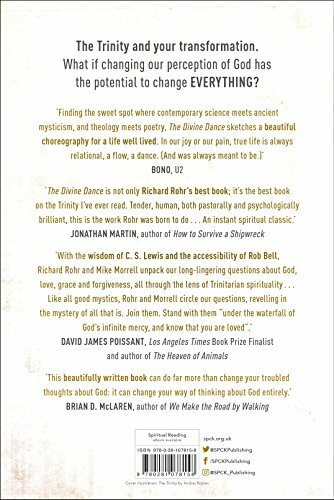 But God is not a dancer-He is the dance itself., That idea might sound novel, but it is about as traditional as you can get. God is the dance itself, and He invites you to be a part of that dance. Are you ready to join in?